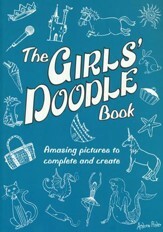 A fun activity book for the creative kid who wants to color outside the lines! More than 100 unfinished pictures of favorite Bible stories along with humorous prompts will spark children's ingenuity as they complete drawings of ferocious lions, courageous kings, starry skies, and stormy seas. Just add pencils, crayons, and plenty of imagination! 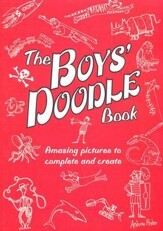 96 pages, softcover from Zonderkidz. 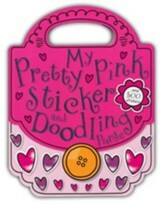 For every kid who wants to color outside the lines comes the all new Bible Doodle Book. With large pages and two sheets of stickers, kids will have plenty of space to doodle, dream, and imagine as they learn the stories of the Bible. Each page features an unfinished drawing that depicts a well-known Bible story, along with a humorous prompt to get the doodler going. With plenty of room to stretch the imagination, children ages six and up will find hours of entertainment as they complete drawings of ferocious lions, courageous kings, starry skies, and stormy seas. 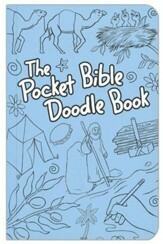 And for parents on the go, The Bible Doodle Book is ideal for use in restaurants, waiting rooms, and while traveling. 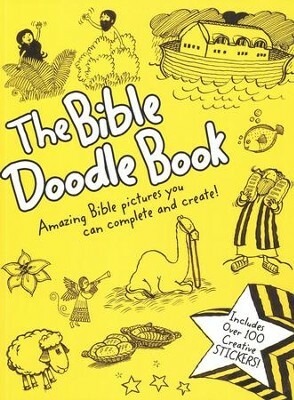 With over 100 Bible pictures to complete and create, just add pencils, crayons, and plenty of imagination! I'm the author/artist and I want to review Bible Doodle Book: Amazing Bible Pictures You can Complete and Create.